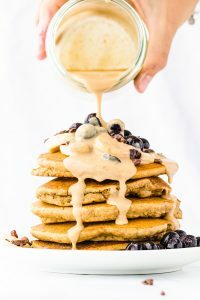 A fluffy vegan spelt pancake recipe that is oil free and delicious. Topped with a homemade date-sweetened caramel sauce. Refined sugar free. 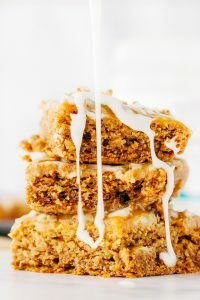 A tasty vegan mango cardamom snack cake that is oil free and sweetened with dates. Made with oat flour and topped with a tasty mango frosting layer on top. 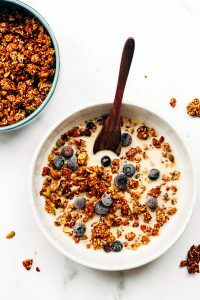 A recipe round up featuring 9 vegan recipes that are refined oil free and refined sugar free. 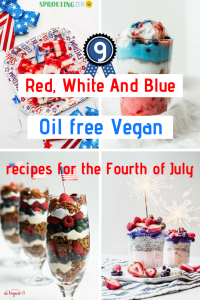 All recipes are Red, White and Blue – perfect for the Fourth! 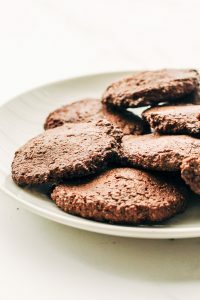 Easy vegan chocolate cookies made with cacao, hemp seeds, and almonds. Refined oil free, Refined sugar free, and gluten free. All you need is your food processor and an oven!